The morning after Russia and China vetoed a UN Security Council "Resolution Lite" backing the Arab League peace initiative for Syria, Arab public opinion shapers urge the League to stop pussyfooting while Syrian media is hula-hoop dancing. It undercuts the clout of Western nations – “chiefly the U.S., France and United Kingdom” – at the world body. It uplifts the BRICs alliance grouping Brazil, Russia, India, China and South Africa. It humiliates the Arab League, which has become a Western tool to undermine the pan-Arab nation. It gives strength to Syria’s fight against conspirators and schemers. Thinking the Security Council in its present state can legitimize the overthrow of Syria’s regime is an illusion. The idea that a League decision endorsed by the Security Council after “a play on words” carried with it the entrance key to Damascus is a fantasy as well. Exceptionally, the solution is not in New York. It is in two venues only: Cairo and Syria. The League can boot out the Syrian regime and give the opposition the right to represent its country. This is what was done in the case of Saddam’s regime after Iraq’s occupation of Kuwait. 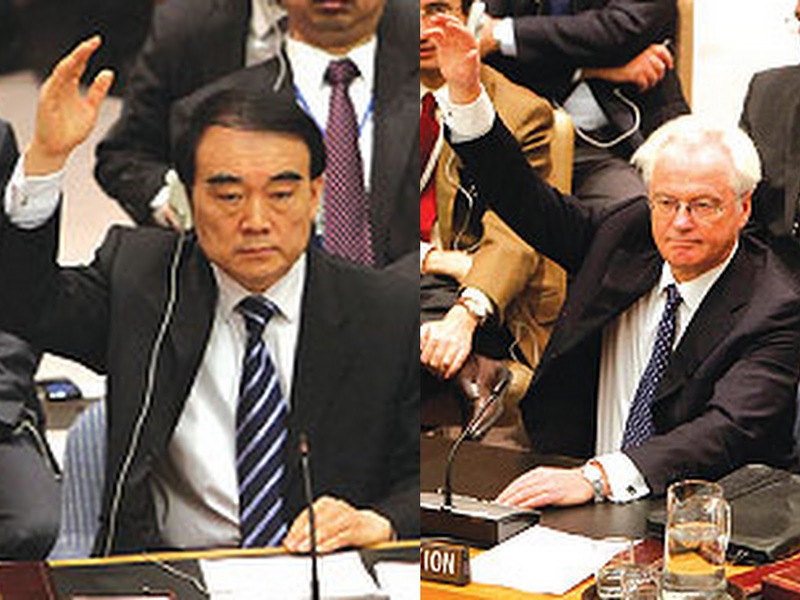 And this is how the League reacted to the crimes committed by Gaddafi in Libya. The Arab League also erred when it went along with a heavily watered down draft resolution in New York, which if adopted would have given the regime a lifejacket instead of trussing a noose around its neck.